Thought it was the antenna leaking -NO.. It is dripping down the CORNER of the slide room, and dripping onto the floor. We have had about 3 inches of rain over the past 1-1/2 days and it filled up the grill pan about 1/4 of the way. I also forgot to mention you may need to check that the seals are doing their job and the slide is tight when in. It should not come in when slides are in. 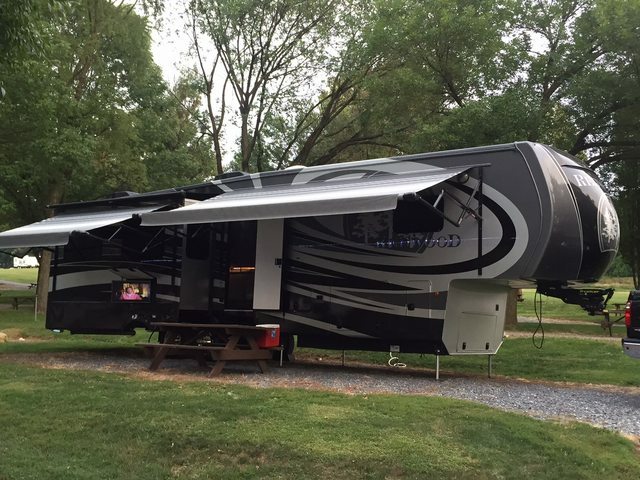 My plans are to apply clear to the edges of the seals as soon as it is dry out again..
Everything seams to be tight, BUT where the edge of the seal meets the wall of the camper, that portion has some sealant missing/peeled up. I have had several little nuisance leaks over the years too. I have replaced gaskets, twice, and re-caulked and I still get leaks, mostly around the dining slide near the entry door (very small section of carpet). I noticed once that there was water on top of the slide near the wall and it would travel over the end wall (near the entry door) and travel at an angle toward the interior floor and get on my "slide slickers". I have even added another foam gasket across the top of both the kitchen and dining slide, seems to help but not 100%. I also have a leak in the passenger side storage compartment, so much so, I have a rolled up towel to help trap the water there so it doesn't migrate thru the under bay storage. Factory tried to fix, but to no avail. 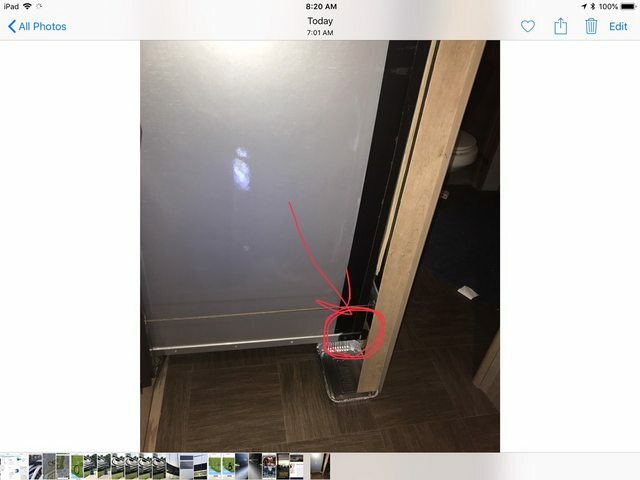 I guess I need to unload the bay and have someone outside spraying water on the side of the RV and someone inside the see where the leak is coming from. We do store ours outside at home, so I have to keep an eye on it after a good rain. If you know of a permanent fix, please share it! I completely cut the clear sealant away from front and rear of that slide, used solvent to clear any residue and applied new Proflex clear.. I am trying to not get too excited just yet, but happy for now.. I am not sure of the name, a friend works at a high end body shop. The can only says..” Solvent “ made by Ardex . .
We have a '17 RL, which was actually built in April of '16. It developed a leak in the same spot, only when the slide is out. This after the slide floor was replaced last year at the factory. Cannot figure it out. Suggestions welcome.